I have to say, I haven’t had much of a craving for alcohol this pregnancy. That’s a good thing, right? And sort of an obvious good thing at that. The thing is, when I was pregnant with Kieran, I could NOT stop thinking about margaritas. Maybe it was the salty-tangy thing that I was obsessing over? And not drinking wine was tortuous. This time, though? I’ve barely thought about it, let alone wanted the booze. Until I made these insanely delicious apple cider ice cream floats last week. Until I realized upon tasting one how freaking WONDERFUL a splash of bourbon or spiced rum would be in these. That said, if you’re like me and cannot have alcohol or do not like alcohol (or are serving these to little ones! ), they are still plenty fabulous without the booze. I promise. I may have consumed an entire one in like 45 seconds flat. While my son watched in awe. They are GOOD. And really simple to make! 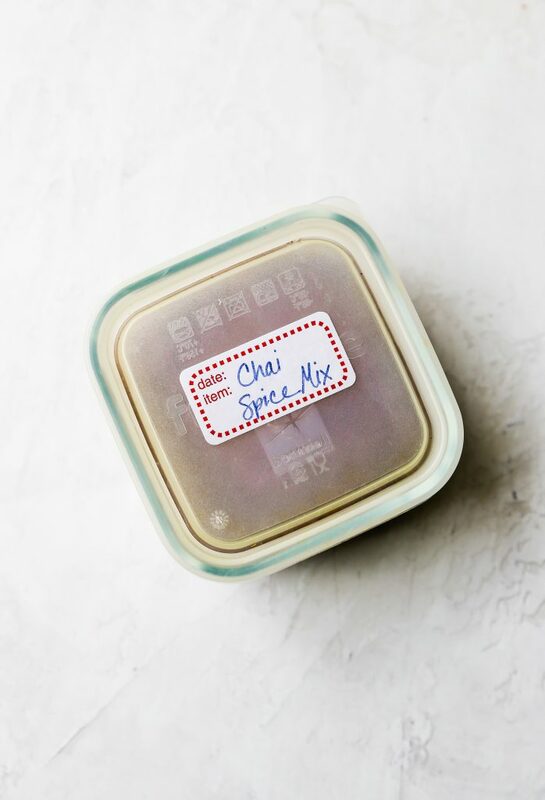 It starts with homemade chai spice. I’ve shared this recipe on the blog before, and I’m including my basic chai spice recipe again for you here. I like to make a big batch of this and keep it in the pantry for whenever I need it. 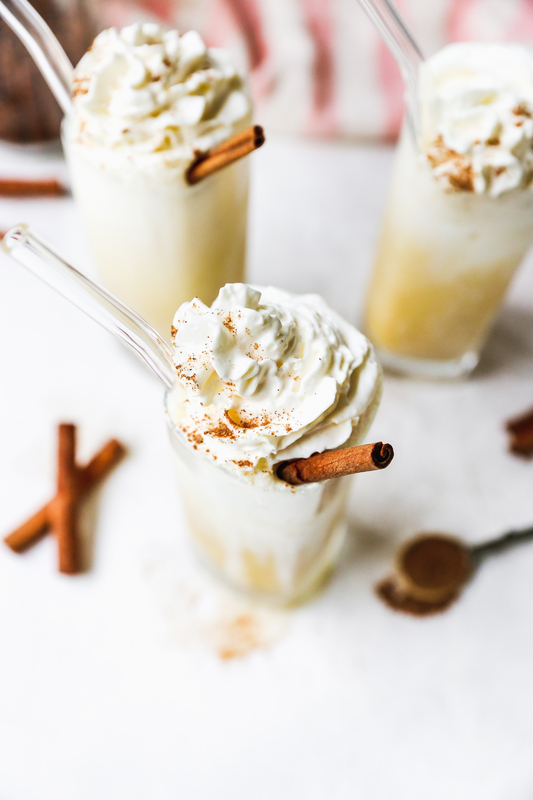 I go through it quickly this time of year, so it’s nice to not have to mix it up each and every time I am making a chai-based recipe. 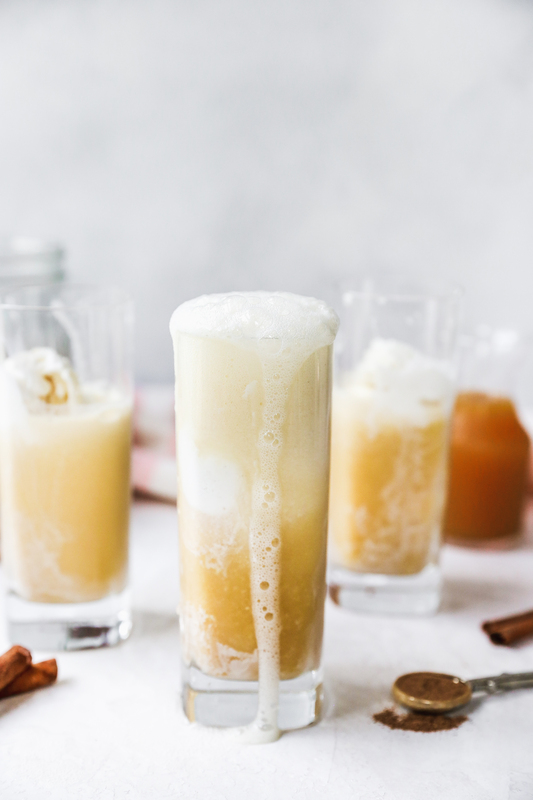 Said chai spice gets whisked into some hot apple cider. Yummmmm. So much flavor! So much warmth and coziness, too, especially considering that it all ends up being in an ICE CREAM float. 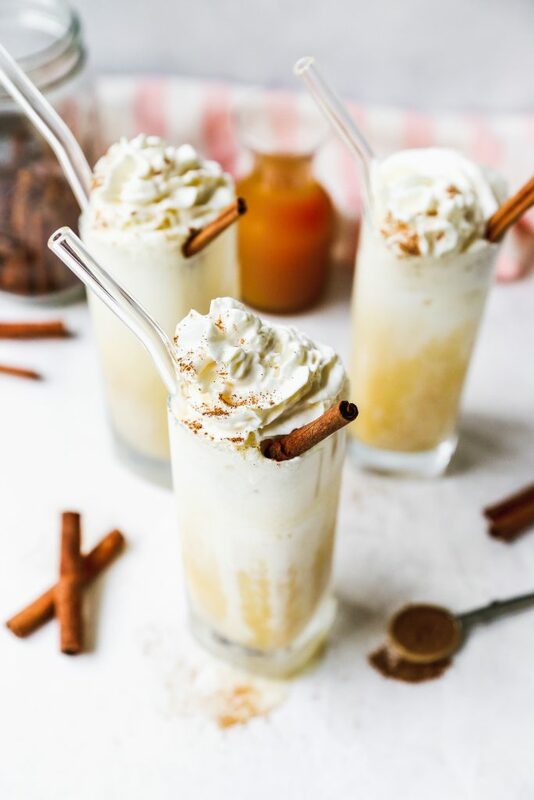 I like to use vanilla ice cream for these, just because the chai cider already has so much flavor, but you could use any flavor you like. 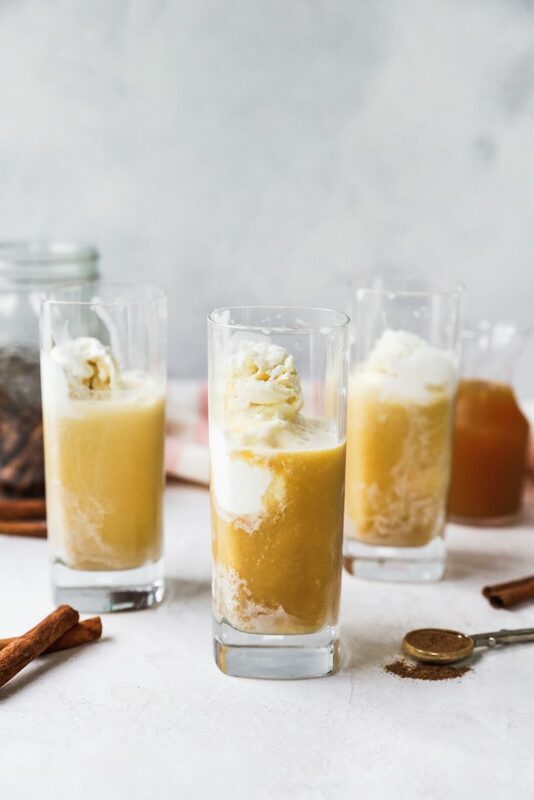 Cinnamon ice cream or even this apple cider ice cream would be awesome here. The vanilla gives this the BEST creaminess and almost a lightness. It’s so yummy. I like to top this off with some ginger beer for an extra punch of warming spice, but you could use ginger ale or even plain seltzer here. 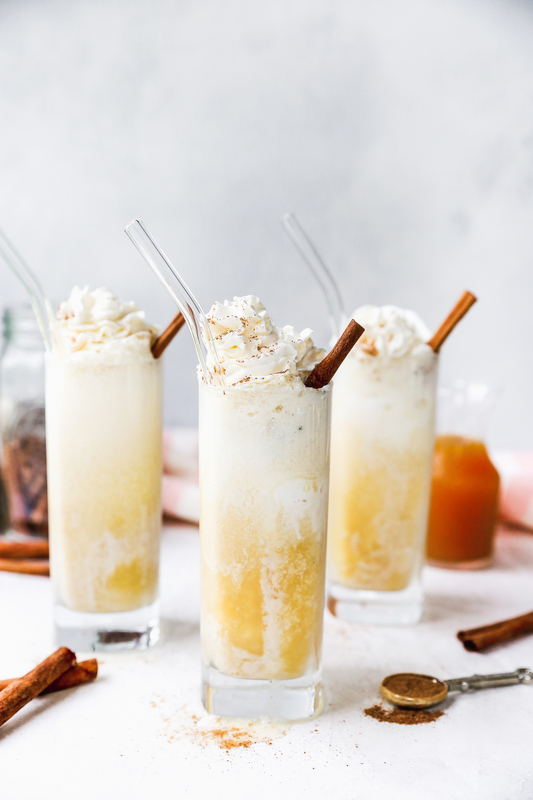 There is plenty of sweetness and flavor from the ice cream, chai spices, and apple cider. It’s a flexible recipe! 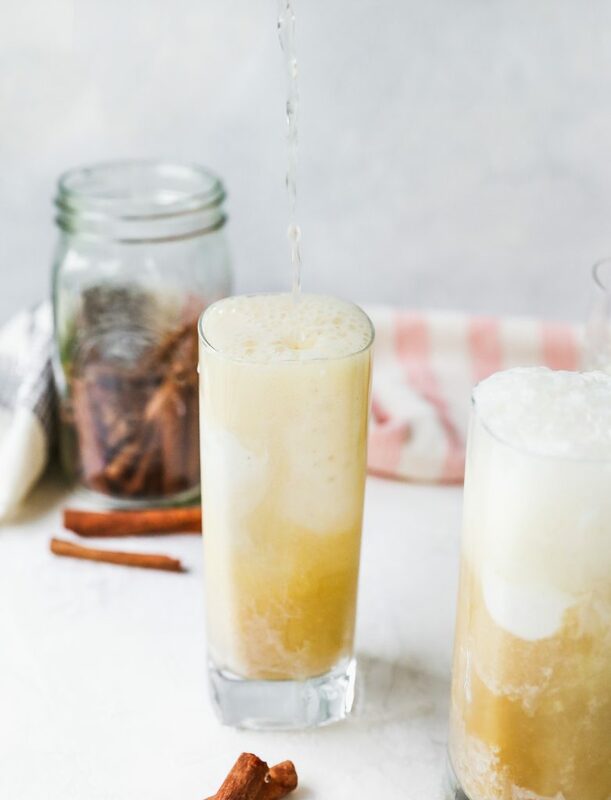 And if you’re feeling like warming up while you’re cooling down with ice cream, go ahead and add that extra glug of bourbon or rum. I won’t judge. In fact, I might applaud you! Jealously. Mix together the spices in an airtight container. Seal and store in the pantry for several months. Place the apple cider in a medium pot and add in the spices. Bring to a gentle simmer over medium-low heat, stirring occasionally. Simmer for 5 minutes and then remove the pot from the heat. 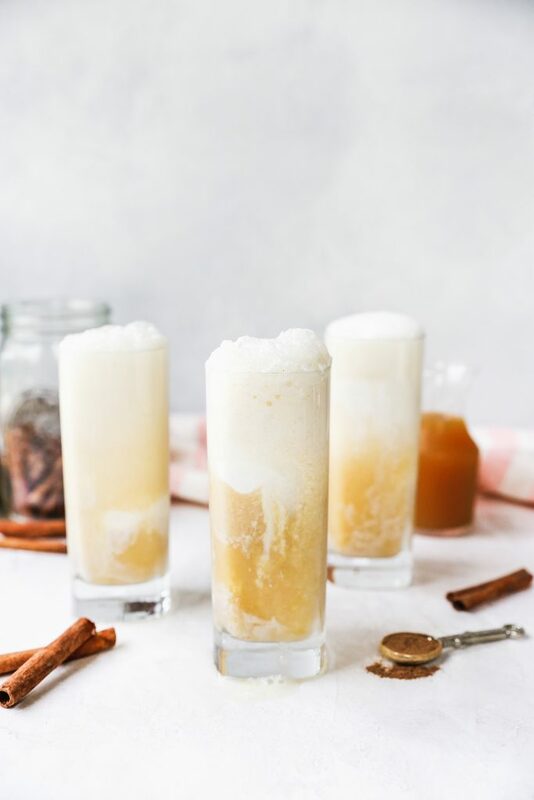 Allow the cider to cool to room temperature. 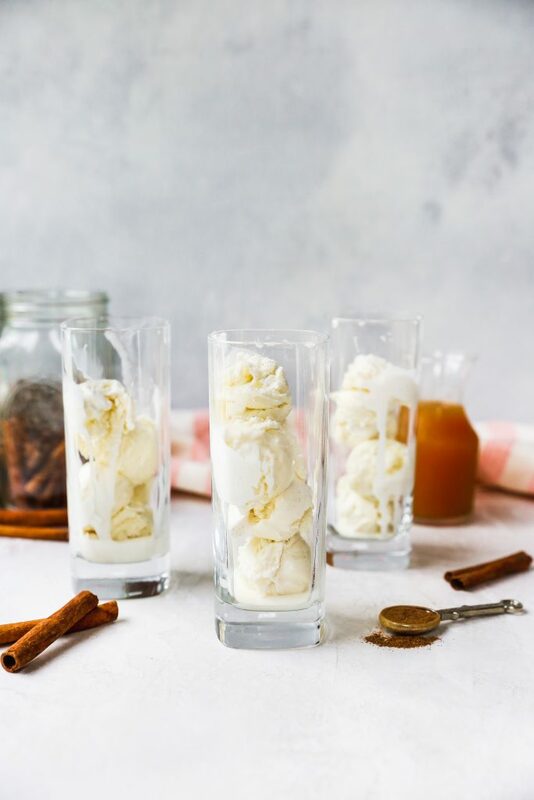 Add 2-3 scoops of ice cream to your serving glasses. Pour some of the cooled spiced cider over top. If using rum/bourbon, add a splash of that as well. 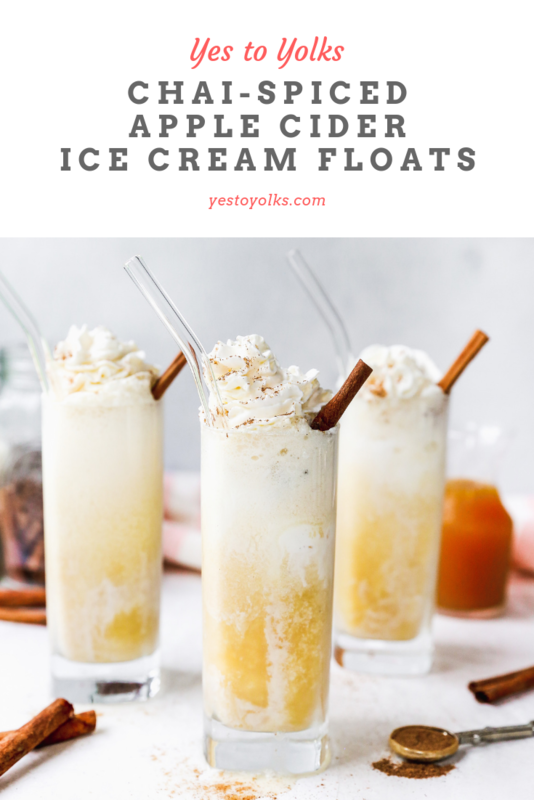 Top each float off with a little ginger beer or seltzer and gently stir to mix. 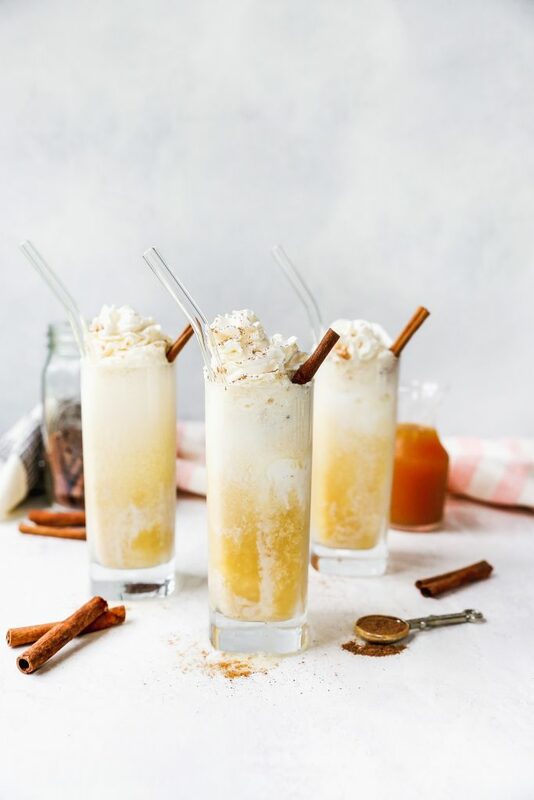 Garnish each glass with whipped cream, a sprinkling of the chai spice, and a cinnamon stick. Serve immediately.